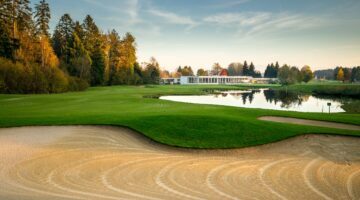 This beautiful 9-hole course is located in Augwil, set on a hill above Kloten. Players here comment on the views of the surrounding mountains and the Glatt valley as they work their way around the course. The course is longer than average, which, with its great variety, makes for a very enjoyable game. To succeed here needs strategic skill and long, well-placed shots. To succeed here, it needs strategic skill and long, well-placed shots. 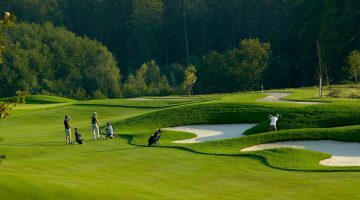 Why not come over and play a varied, exciting round of golf in the beautiful natural landscape of Augwil. 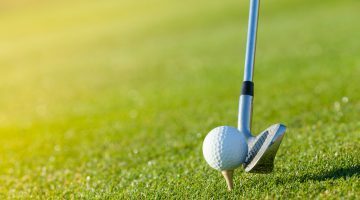 Driving range, 20 sheltered and 25 open tees off grass or mats (depends on weather), chipping- and pitching area, practise bunker, putting green. Please respect dress code (wear collar shirts, no blue jeans). Do respect the golf etiquette!